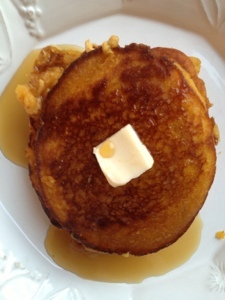 I have been working on your request and as it turns out making pumpkin pancakes with out flours, sugars, oils, egg replacers, etc, is super difficult. A pancake isn't a pancake without any type of flours apparently. Here is my attempt to satiate that need for you on the fly. 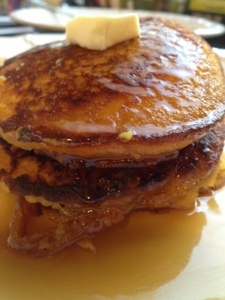 It's a gluten free, sugar free, pumpkin pancake with organic ingredients and lower calories and fat than the usual suspects. I will keep working on this for you (I have some ideas), but for now try these on for size. These were super easy and super creamy. What more could a gal ask for? 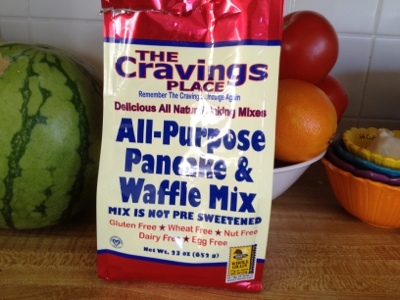 Mix the pancake mix and water until you get the consistency of pancake batter. Then add in the rest of the ingredients. Add more water to get the exact level of thinness you'd like for pancake. Using a non-stick skillet, drop the batter in by the 1/4 c full and let hang out until the sides start to get golden. Flip and when you can't stand it anymore, eat. Gluten Free, Wheat Free, Nut Free, Dairy Free, Egg Free. AWESOME!